Rabbit is an experiment in fast-hashing blocks combined with the Kimoto Gravity Well technology. Using the same reward and block parameters as Dogecoin, we've increased the block find and retarget rates to reach a quicker end-of-life cycle while preventing large multipool abuse with KGW difficulty recalculating. RabbitCoin is released under the MIT license. See COPYING for more information. 100 billion coins, just like DOGE. 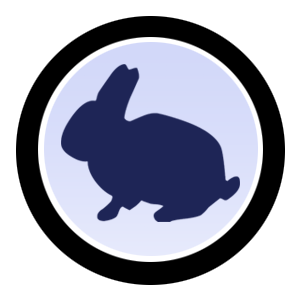 RabbitCoin is a Scrypt-based Proof of Work coin using the Komoto Gravity Well.